Concepts, technique, inspiration for beginners on up. Growing up in Rockland, Maine, Su Morrill Johnson was fascinated with the arts at an early age. She received a B.A. in Art Education from the University of Southern Maine. After graduating, Su taught art for over 38 years in high schools throughout mid-coast Maine. 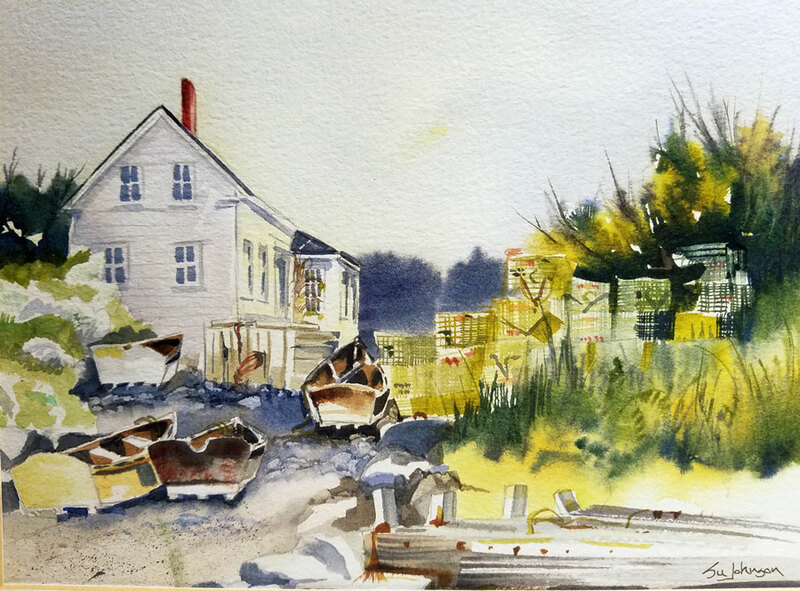 In the mid-70’s, she owned and operated a studio in Port Clyde, Maine featuring her watercolors. In 1982, Su opened the Camden Pottery/Johnson Gallery showcasing her paintings along with ceramics and clay sculptures created by her husband Richard. In 2010, the gallery re-located to Rockland, Maine. 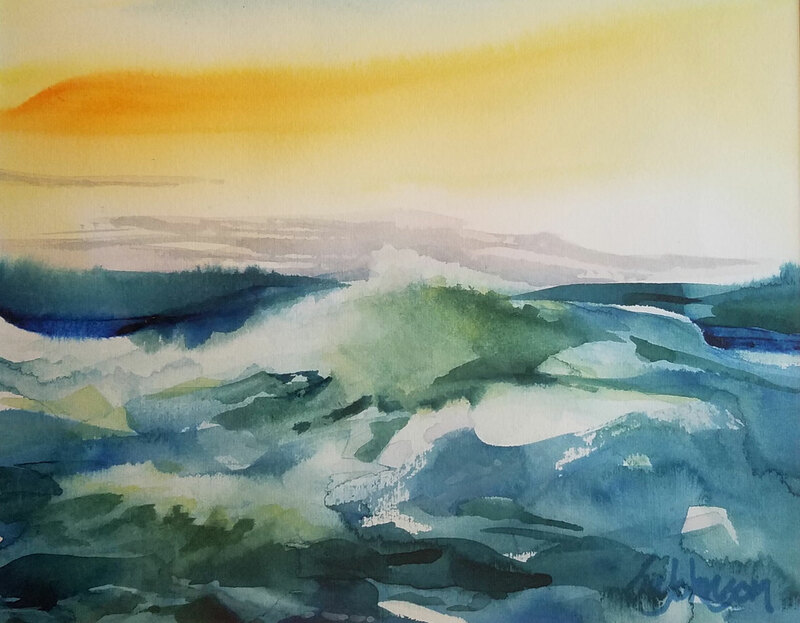 Su has studied watercolor painting with leading artists including Zoltan Szabo, Tony Van Hasselett, Judi Wagner, Christopher Schenk, Frank Webb, Don Stone, and Carol Sebold. A good painting is a very personal statement by the artist and tells as much about the artist as the painting itself. Watercolor is just what it says it is. Water being the vehicle used to float and move color on a surface to create varied and interesting imagery. This week with Maine artist and teacher Su Johnson will explore various painting techniques to guide each individual using the medium of watercolor. We’ll examine perspective, design, composition, color harmony and brushwork. So, bring your paints, paper, brushes, and good sense of humor to capture images of this beautiful area on the coast of Maine. Whether you arrive with experience or are a beginner, we’ll work together to craft the information that inspires you through watercolors.